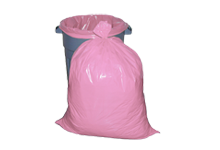 Poly Bag Central Economy Reclosable Bags are manufactured to full gauge specifications and will rival any reclosable bag on the market today. You’ll find 247 stock sizes in 16 categories for standard, light industrial, static control, food and medical applications. 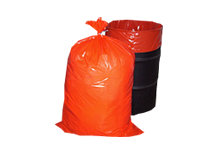 See an overview of our Economy Reclosable Bags below. Contact us if you need guidance in choosing the right size. Standard Reclosable Bags are available in 2 mil, 4 mil and 6 mil thicknesses to protect your product during shipping and display. Our zip tops offer security while our variety of sizes provides the perfect option for a diverse assortment of products. Reclosable Bags with Hang Holes allow for perfect product presentation. We offer a variety of sizes in 2 mil and 4 mil thicknesses. 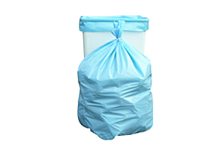 Medical Use Reclosable Bags are offered in two types: Biohazard Bags and Chemotherapy Drug Transport bags. Our 3-wall clear 2 mil Biohazard Bags have an outer pouch to keep paperwork separate and dry, a pre-printed red biohazard symbol, and check boxes for processing. 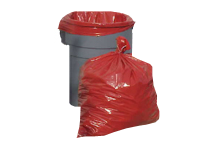 Biohazard Bags are available in three convenient sizes. Our Clear Chemotherapy Drug Transport Bags have a zipper closure for safe transport of chemotherapy drugs and a yellow pre-printed chemotherapy symbol for easy identification. Chemo Bags are available in 2 mil and 4 mil thickness and come in three different sizes. Bubble Wrap Reclosable Bags combine the needed security of a reclosable with the protection of bubble wrap. Bubble wrap zipper bags have a 3/16” bubble size and come in three convenient sizes. Bubble zipper bags are strong enough to re-use.